Case Construction Equipment has brought together under the name Case® SiteSolutions all its services and technologies designed to complement the brand’s equipment to help customers manage their job sites and construction activities efficiently. This is a result of the brand’s strong focus on developing 360-degree business solutions to help customers achieve the highest productivity on the jobsite and the highest returns for their business. 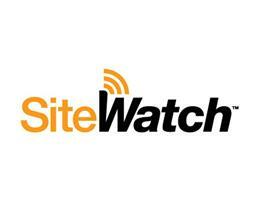 Case SiteSolutions presently include the Case® SiteControl machine control solutions and Case® SiteWatch™ telematics. Going forward, Case will continue to improve, upgrade and expand these services, starting with the extension of the factory ready machine control offering for graders and dozers, as well as the improvements and global satellite coverage for its telematics solutions. Following the agreement with Leica Geosystems signed in April 2014, Case dozers and now graders are available with factory ready Leica control systems, which are available through the Parts network, so that customers can enjoy the cost effective and easy installation of this technology at their dealership. This means that Case dozers and graders are all factory ready for Case SiteControl solutions with Topcon, Trimble and Leica Geosystems, so that it has become even easier for Case customers to benefit from the precision, comfort, productivity, and time and cost savings that come with the advanced machine control solutions available on the market. The number of machine parameters transmitted by the Case SiteWatch telematics system has been increased from 12 to 40, enabling the fleet manager to monitor a much more comprehensive range of health and performance indicators of his equipment. This will make it even easier to maximize the fleet’s productivity and utilization, as well as preventing more effectively potential issues and ensure every machine’s optimum health. In addition, Case is introducing a hardware update with the new AM53 modem that includes 3G connectivity to increase the communication speed and coverage and backup battery to improve the security features. These improvements come on the tail of the recently announced option of adding satellite connectivity to ensure telematics services in areas without cellular network coverage. To ensure the most reliable satellite service available on the market, Case has partnered with IRIDIUM, the network provider known for the quality of its signal and global coverage, and with Quake Global, one of the best satellite modem manufacturers, for its telematics Satellite Modem.